One morning, in the dead of winter, three German soldiers head out into the frozen Polish countryside. They have been charged by their commanders to track down and bring back for execution 'one of them' - a Jew. Having flushed out a young man hiding in the woods, they decide to rest in an abandoned house before continuing their journey back to the camp. As they prepare food, they are joined by a passing Pole whose virulent anti-Semitism adds tension to an already charged atmosphere. Before long, the group's sympathies begin to splinter as each man is forced to confront his own conscience as the moral implications of their murderous mission become clear. Chilling…from the first lines one is taken somewhere one would never wish to go, thanks to the clear, direct style, and the brilliant dialogue….impossible to put down. This is Mingarelli at his best. A story delivered with restraint, in hushed, sensitive prose. Perfect. Hubert is the author of numerous novels, short story collections and fiction for young adults. His book Quatre soldats ([Four Soldiers], Le Seuil, 2003) won the Prix Médicis. He lives in Grenoble. 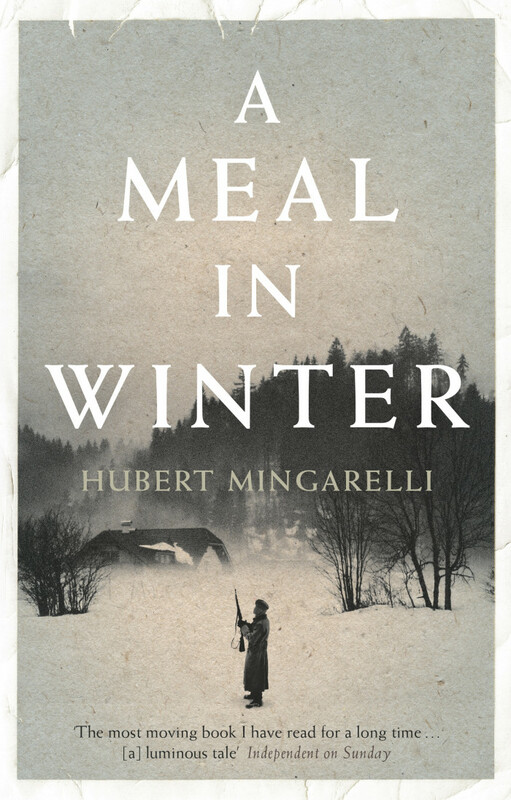 A Meal in Winter was shortlisted for the 2014 Independent Foreign Fiction Prize. Sam is a translator, novelist and journalist. His translated works include HHhH and The Truth about the Harry Quebec Affair. His own novels have been translated into ten languages.